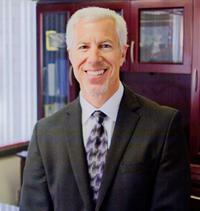 ANTHONY J. DeLELLIS is the principal of DeLellis and Associates. He obtained his undergraduate degree in Political Science at Rutgers University and received a Juris Doctorate from the University of San Diego Law School in 1981. Mr. DeLellis continued with his graduate education obtaining a Masters Degree in Business Administration from the USD School of Business in 1982. Mr. DeLellis became a member in good standing of the California Bar Association at the age of 24 in 1981 and has been a member in good standing ever since. He is a former undergraduate adjunct professor of business law at Rider College in New Jersey and Mesa Community College in San Diego. Mr. DeLellis has represented thousands of injured workers and disabled clients throughout his career. He has litigated jury trials both in State and Federal Courts and successfully argued Appellate Cases before the 3rd and 9th Circuit Federal Courts as well as various State Appellate Courts. Mr. DeLellis is a member of the State of California and San Diego County Bar Associations, the California Applicant Attorney Association, the Workers Compensation section of the State Bar of California and the National Organization of Social Security Representatives. In addition to his work as the principal of DeLellis and Associates, he is a frequent lecturer in the field of Workers Compensation and Social Security Disability. Mr. DeLellis has authored a booklet entitled "Introduction to Workers Compensation".